The original BiteBack! 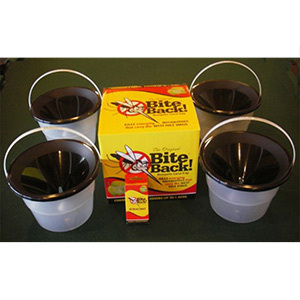 Mosquito Larva Trap is the environmentally friendly way to eliminate mosquitoes in your yard. BiteBack! works by mimicking the natural breeding areas of 95% of mosquitoes in the world. If you can add water to a bucket, you can maintain BiteBack! 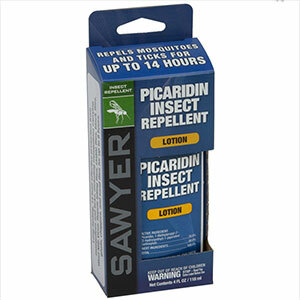 and protect your yard, family, friends and pets from pesky mosquitoes and the diseases they carry. 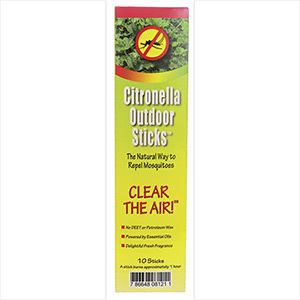 Citronella Outdoor Sticks: The Natural Way to Repel Mosquitoes. Clear the air. No DEET or petroleum wax. Powered by essential oils. One package includes ten sticks. A stick burns approximately 1 per hour. This delightful citronella, lemongrass and geranium incense will clear the air with a crisp, delightful fragrance. 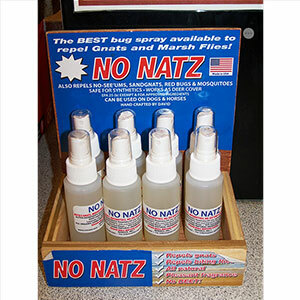 All-natural No Natz formula repels gnats, mosquitos, no-see-ums, biting flies and chiggers. Pleasant, fresh fragrance. Made with the finest essential oils including rosemary, lemongrass and lavender with a coconut or olive oil base. 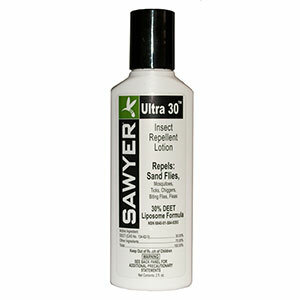 The non-greasy, odorless Ultra 30 Insect Repellent Lotion from Sawyer combines 30 percent DEET with a comfortable liposome base for up to 11 hours of protection against mosquitoes, ticks, flies, chiggers, fleas, and no-see-ums. 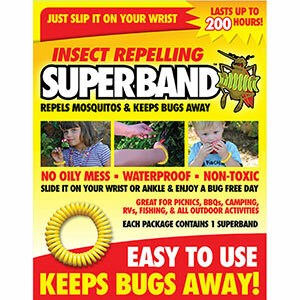 It’s comfortable for use in the backcountry or in the backyard.